custom design group - we "custom design" your deck for you. 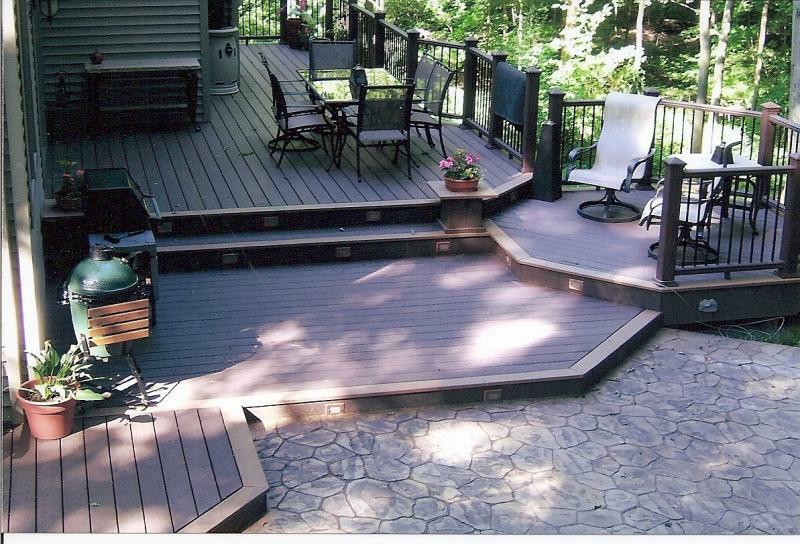 we "custom design" your deck for you. We specialize in "custom designed" decks. No longer just a platform for the grill, the deck has become the foundation for the "outdoor room" - an extension of your living area, moving it outside where you can commune with nature, in the company of your family and friends. We offer many years of knowledge and experience in design concepts, and construction methods and materials to our customers. 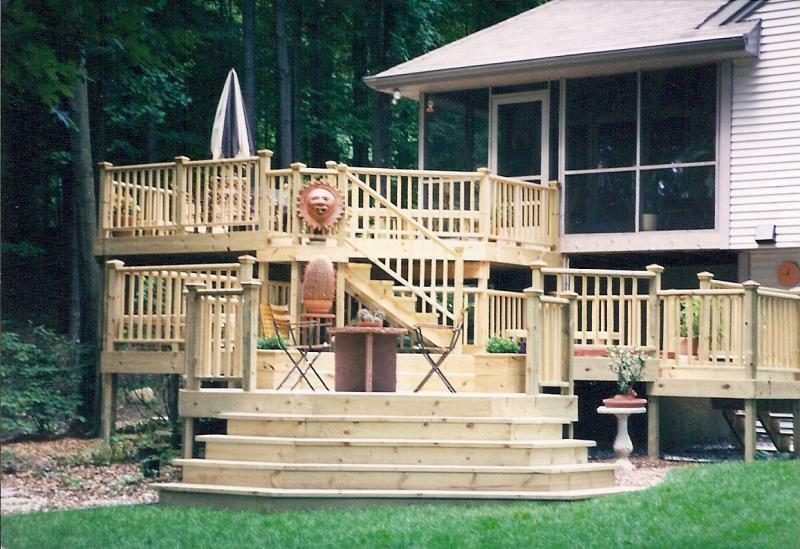 Whether you want a simple patio deck, or a multi-level deck we can help you in your planning. 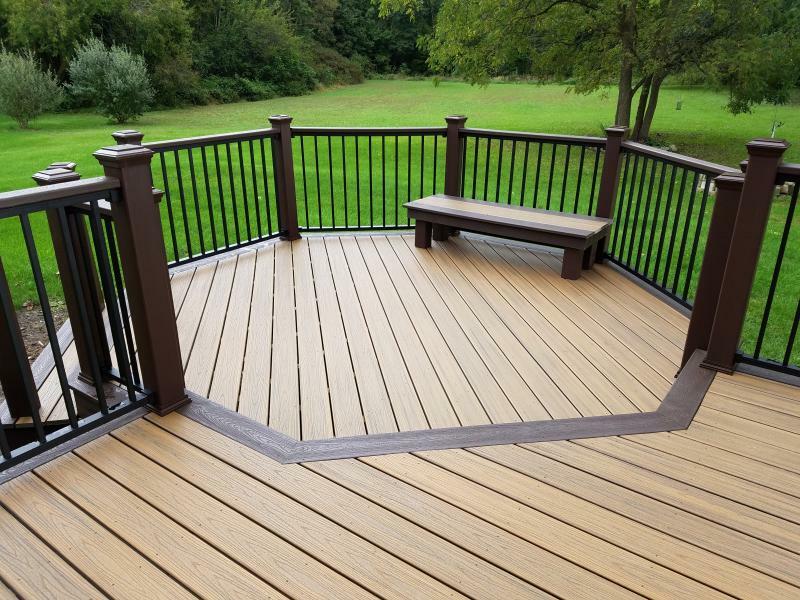 We have built hundreds of decks over the years, and will work with you in deciding just what's right for your home and needs. Benches, planters, railing options, lighting and more - we offer the special touches that will make your deck unique. 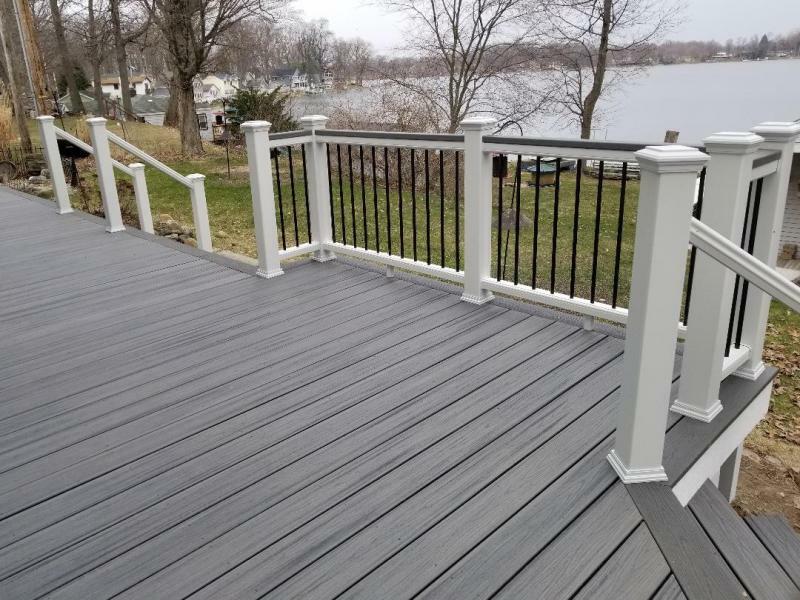 Safety is of utmost importance in designing a deck, as well as the knowledge of standards and codes, and we design and build with this in mind. TREX "Transcend" Havana gold decking w/ Vintage Lantern 2-tone accent- White railing. TREX "Select" Woodland Brown w/ Saddle Accent. We are proud to be the only TrexPro PLATINUM Certified Contractor offering our customers the very latest in alternative decking and railing options from the original and No. 1 "green" decking manufacturer in the world. A TrexPro PLATINUM Certified Contractor must meet the high standards required by the Trex Co. for this professional honor and designation. 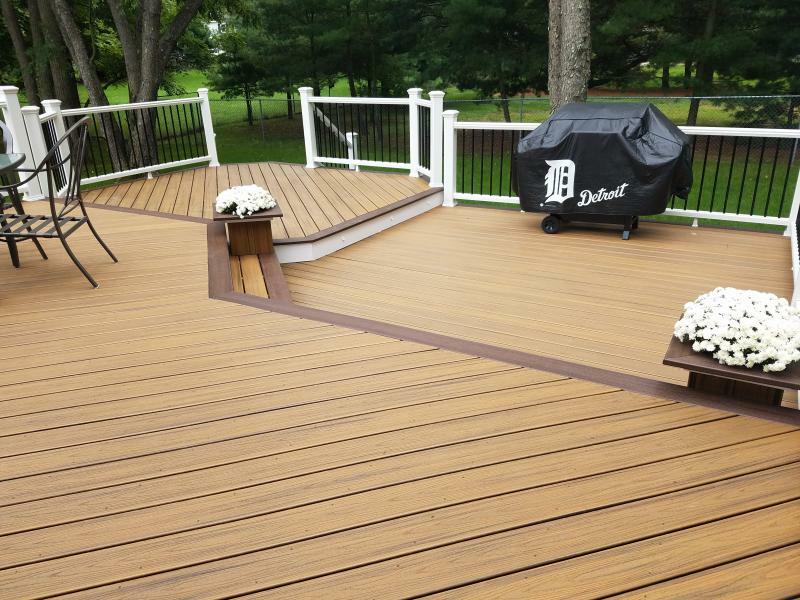 TREX "Enhance" Saddle decking w/ "Transcend" Vintage Lantern 2-tone accent. White fascia. 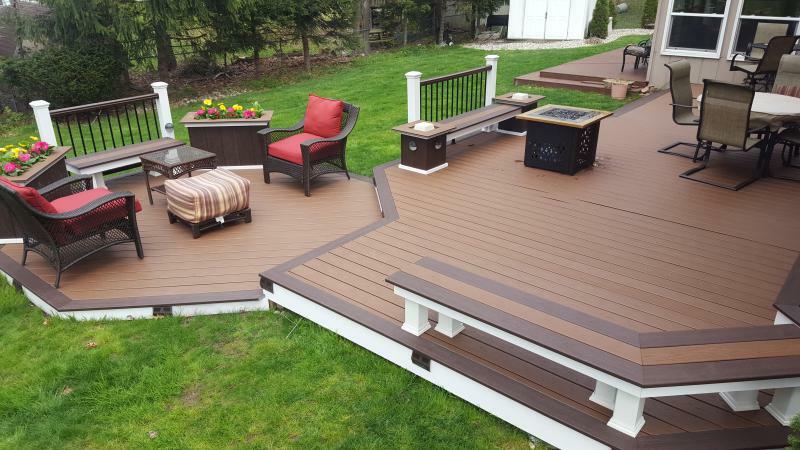 TREX "Transcend" Spiced Run decking w/ Vintage Lantern 2-tone accent. TREX "Reveal" railing w/ "cocktail rail." TREX "Transcend" Island Mist decking w/ Clam Shell accent. "Transcend" railing w/ 2x4 cocktail top rail.